Last week Sarah reviewed the movie, The Raven starring John Cusack and since today is the official day that the movie is being released on blu-ray and dvd, we thought we'd share with you a bit of information about Mr. Cusack and his film career. I have to say I've been a fan of John Cusack since I can remember. I think one of the first movies I saw him in was Sixteen Candles, but the one that stood out to me and still does was the movie, Say Anything. 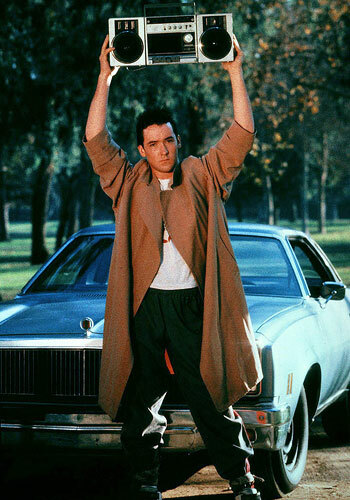 He set the mark with holding a boombox outside of Diane's house to win over her love. I love so many different movies starring John and there are so many that are hard to choose from, but here are the movies that I have in my movie collection at home and I absolutely love; Serendipity, Must Love Dogs, Identity and of course, America's Sweetheart. John Cusack’s career is the stuff Hollywood dreams are made of. With such iconic and diverse films as Say Anything, Being John Malkovich and High Fidelity to his credit, it’s no wonder he has become well respected by his peers and beloved by fans. Here, we will take a look at these films as well as other major highlights that have helped Cusack rise to a grand level of fame. One of Cusack’s most memorable teenage roles is in the 1989 film Say Anything… He plays Lloyd Dobler, an average student who pursues the overachiever valedictorian, Diane Court. Not only does his character win the girl, but critics also appreciate Cusack’s performance. The national publication Entertainment Weekly named the film “the greatest modern movie romance”, ranking it number 11 on its list of 50 best high-school movies. 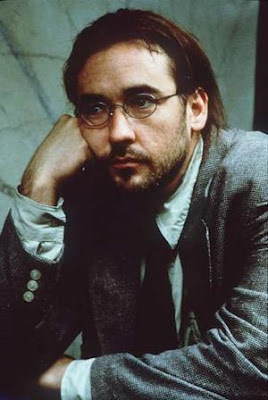 The 1999 comedy-fantasy film Being John Malkovich is by far, one of Cusack’s most interesting projects. He plays an obsessive puppeteer named Craig who finds a portal into the mind of actor John Malkovich. He shares this phenomenon with his co-worker with whom he is in love with, and the two decide to offer the experience to others for a set price. This role marked a monumental moment in Cusack’s career as being part of a critically acclaimed film since it received three nominations in the 72nd Academy Awards. In one of his more recent roles, Cusack portrays a fictionalized version of the great American poet Edgar Allan Poe. His appearance closely resembles the mysterious literary figure as he investigates the disturbing trace of murders that are inspired by his works. 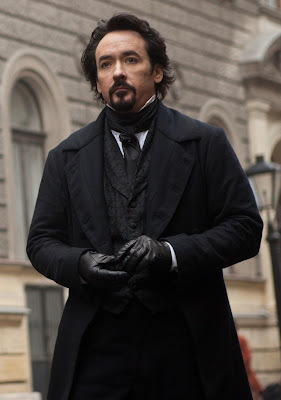 To prepare for the role, Cusack said in an interview with Rolling Stone magazine that he read a lot of Poe’s works, including his diaries and letters. This role is very different from anything he has done in the past, thus proving how Cusack continues to challenge himself despite acting for 30 years. So, what's your favorite John Cusack movie?